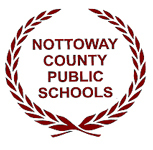 The Nottoway County School Board announced today that it will take the next step in the process of hiring a new superintendent by seeking public input on qualifications. The school board has created a survey related to superintendent criteria, which is available at https://www.surveymonkey.com/r/NottowayCountySearch and on the home page of the division website. Hard copies of the survey will also be available at the school board administration offices and at each school. The deadline to complete the survey is April 18th. The school board selected the Virginia School Boards Association (VSBA) to assist the board with the superintendent search.